1. Learn – We have put together a very informative PROMOTERS section which contains over 59 articles that teach restaurant owners and marketers all of the basic details that they need to know to create, host, and market a successful food challenge. More importantly, the section is loaded with advanced tips and advice too. There is even a section to help improve your existing challenge if it is not achieving the results that you were expecting. There is no other place you can go to find tips about creating and promoting a food challenge because nobody else has ever really done any research or studies. These tips will help you whether you already have an existing challenge, are thinking about creating a challenge, or have never even considered having a food challenge yet. They also will help whether you are in the USA, Canada, Australia, Great Britain, Ireland, or anywhere else. Read all of the articles that you know pertain to you, and even a few that you think don’t. You may still learn something that might spark some ideas that you can use at your own restaurant. If you have any questions that are not covered already, please contact us and we will cover it during a future article. 2. Use the resources on FoodChallenges.com – First and foremost, make sure that your challenge(s) has already been added to our database. To check, use either our Map Search or List Search applications. If you just started your challenge and it is very new, we more than likely have not added it yet. To add your challenge along with all of the necessary details, please Submit A Challenge. If your challenge is already listed, make sure to check and make sure the information is accurate. If any details are wrong, please contact us with necessary corrections. The next thing to do is to join the community and create a simple profile (you must start the registration process on the homepage inside the top red banner). Make sure to list yourself as a “promoter” so that eaters will know what you are when you contact them. You can then search for eaters in your area using the Find An Eater application. If there are eaters around you, feel free to contact them and message them about your challenge to see if they are interested in attempting it. If you have a well designed challenge and the eater can handle the size of your challenge, he or she will more than likely be interested. Realistically, the eater probably already knows about your challenge, which will make contacting that person that much easier. If you know of a realistic way that we can improve our site to help you, please let us know. Our site is only meaningful if people use it!! 3. CARE about your challenge – You can fake a lot of things in life, but you cannot fake EFFORT. If you don’t care about your challenge, your restaurant managers and staff won’t care, and therefore your customers won’t care either. Your challenge will eventually be discontinued and it will be mostly your fault. There are many past challenges that I remember, and just about all of them involve the owner being there to watch, support, and then take pictures with me afterwards. The good thing for you (and us too) is that you do care, because you would not be checking out this website and article if you did not. If you treat the people attempting your challenge with respect and show that you appreciate them taking the challenge, they will be much more likely to promote your restaurant to friends and family. As an eater, there are few things more irritating than when a restaurant owner gets mad if a person actually wins the challenge, and it is most irritating when an owner tries to get out of paying a big cash prize that is offered with the challenge by being really picky. If you are positive and show that you care about your challenge, people will respond and try it. You are feeding the movement!! 4. Work with the restaurants around you – If you don’t already know, there are some people that really enjoy doing food challenges who will travel hours just to attempt a food challenge that he or she would never have known about if that restaurant did not offer a food challenge. There are even more people that enjoy doing food challenges and eating big meals within their local area. It would be a wise decision to work with the other non-chain restaurants around you and help promote each other to people attempting the food challenges. If a person is attempting your challenge, they will more than likely be interested in taking others if they are not too big and expensive. The same goes for a person attempting their challenge. They may want to take your challenge too, but just don’t know about it yet (or our site which lists every available challenge throughout the world). Survive as a team or you may all die alone. Feed the “movement” by encouraging other restaurants to have challenges and get a group of restaurant owners to all promote each other, especially if you all cater to a very different clientele. As the movement grows in your area, so will your restaurant!! Being greedy is a very poor strategy. 5. Promote your challenge(s)!! – This last thing is an obvious one, but promoting your challenge is the best way to #FeedTheMovement because it expands awareness and lets your customers following you know that you still have a food challenge. This also gives your customers an opportunity to share your challenge photo or post with their friends and followers. Not only is everyone going to see that you have a food challenge, but they will also be reminded about food challenges in general. You have sparked their interest. Feel free to share your particular challenge page too from our site. Then people are able to have all of their questions about your challenge answered in one place, without you having to go through the extra trouble. If any of your customers are seeking food challenge tips and advice, direct them to our site. Then they can check out articles and learn what they need to do to win your challenge (knowing what to do and doing it are two totally different things). That extra knowledge might just give that person the extra encouragement that he or she needed to actually sign up to take your challenge. Yes you are helping us by promoting our site, but you are also helping yourself too. There are only so many challenges in your area. Anybody that finds out about our site in your community will find out about your restaurant too during challenge searches, if they did not know already. This is another reason you should work with other businesses as a team. #FeedTheMovement and everyone will win, including YOU!! 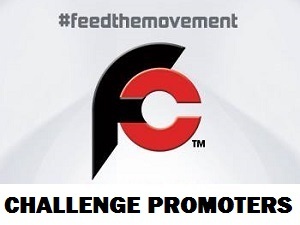 Thanks for reading “How Food Challenge Promoters Can #FeedTheMovement” and using our website! !